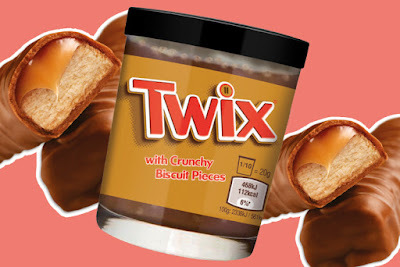 On the nearly impossible chance you still haven't accepted the fact that Nutella is just spreadable candy, I present to you actual spreadable candy. These new spreadable Twix bars just hit the UK, and per spoon these spreadable chocolate bars have 8% less sugar than Nutella. And in case you missed it, here's me making my very own, "homemade", Nutella.